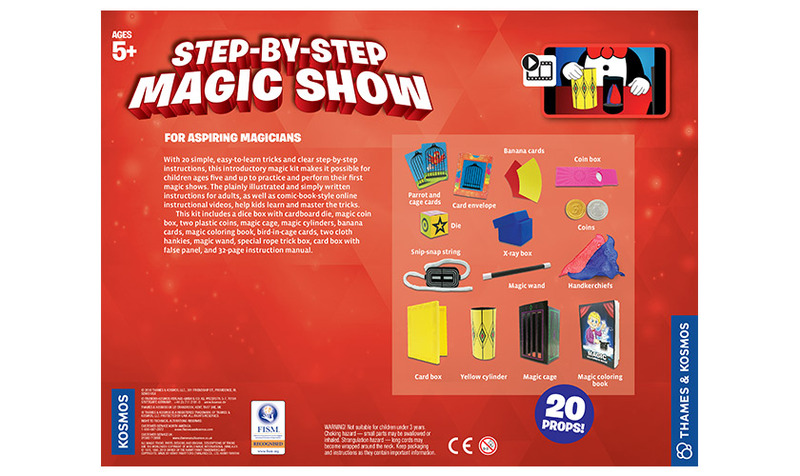 With 20 simple, easy-to-learn tricks and clear step-by-step instructions, this introductory magic kit makes it possible for children ages five and up to practice and perform their first magic shows. 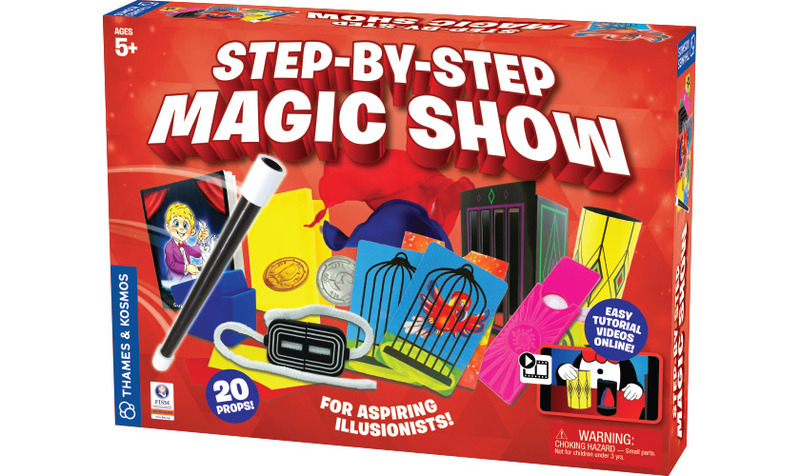 The plainly illustrated and simply written instructions for adults, as well as comic-book-style online instructional videos, help kids learn and master the tricks. 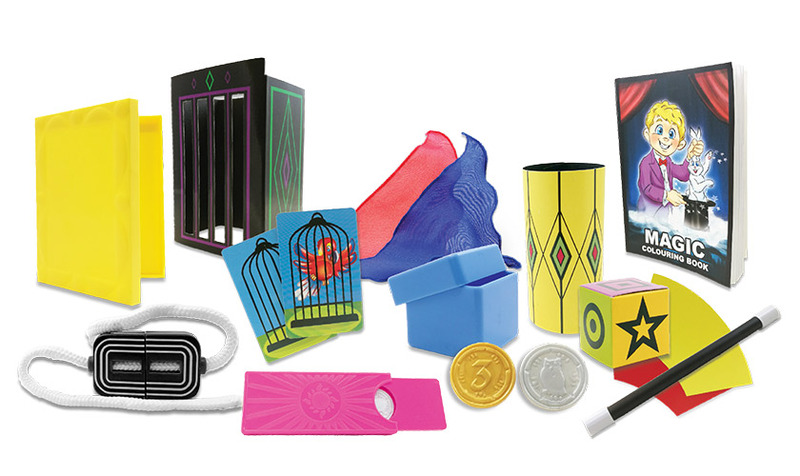 This kit includes a dice box with cardboard die, magic coin box, two plastic coins, magic cage, magic cylinders, banana cards, magic coloring book, bird-in-cage cards, two cloth hankies, magic wand, special rope trick box, card box with false panel, and 32-page instruction manual.